On January 6, 1971 Berkeley chemists announced the first synthetic production of growth hormone. Choh Hao Li, a Chinese-born biochemist and endocrinologist, worked from 1935 on at the University of California, Berkeley. Fascinated by the hormones of the pituitary gland he spent most of his academic career isolating and studying protein hormones. Among his scientific accomplishments are the discoveries of the luteinizing hormone, the follicle-stimulating hormone, the adrenocorticotrophic hormone and most importantly the human growth hormone (HGH, somatropin, somatotropin). In 1966 Li was able to determine the amino acid sequence of HGH and in 1970 he and his team were able to synthesize the hormone. At a length of 256 amino acids it was the largest protein ever synthesized at that time. 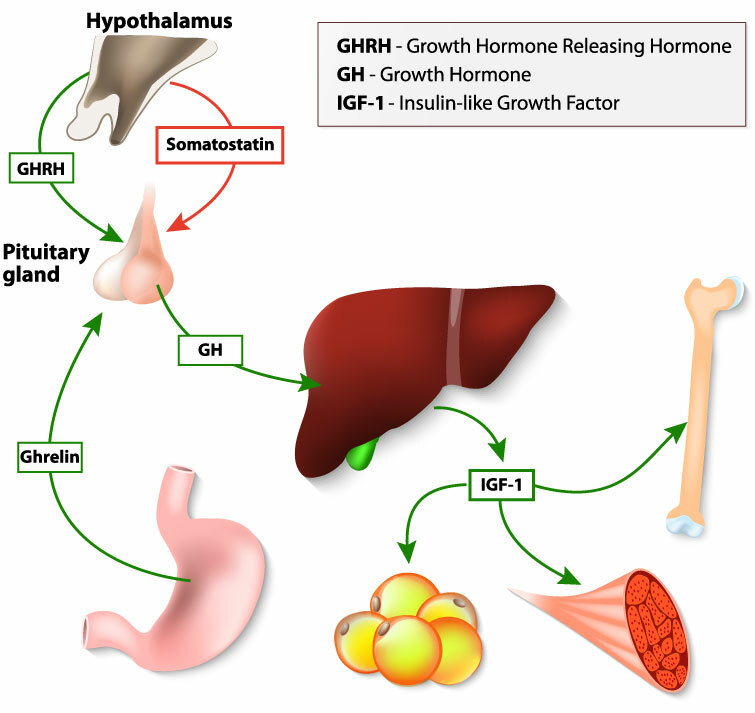 This was not merely an academic achievement: Growth hormone deficiency or hypopituitarism is a relatively common disease with 1 in every 3800 newborns being affected. Symptoms range from hypoglycemia, micropenis and growth failure to memory loss and depression. Standard therapy then and now has been hormone replacement therapy. However, without the marvels of modern biotechnology that we now have, this approach proved difficult. From the late 50s on, growth hormone for the treatment of afflicted children was isolated from the pituitary glands of human cadavers. The supply was limited and only the severest cases received therapy. Furthermore, Creutzfeld-Jacob disease can be contracted by intake of extracted HGH. Li’s synthetic approach to the production of growth hormone paved the way for the recombinant production of hormones, which after FDA approval in 1985 greatly increased the supply. Nowadays hormones and cytokines are standard tools in medical practice as well as research. Biomol offers a wide range of purified as well as recombinant and synthetic cytokines for your research.